My fascination with cemeteries started last year. There are two cemeteries that I pass on my way to and from work every day and occasionally stop in for pictures. Forest Hill and Calvary cemeteries contain some of the most prominent Kansas City families, baseball players, R & B singers, and the founder of Hallmark Cards. There's something about the way the light gets captured in these cemeteries that just pulls me in. 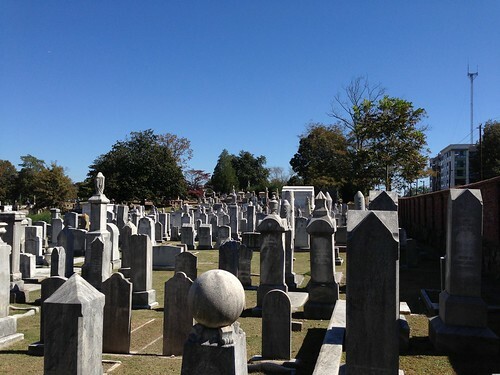 So when Chad mentioned Oakland Cemetery and how it's the oldest cemetery in Atlanta, I knew it was a place I had to see. I could have wandered through those grave sites all day and I'm really at a loss of words on how to describe the visit. 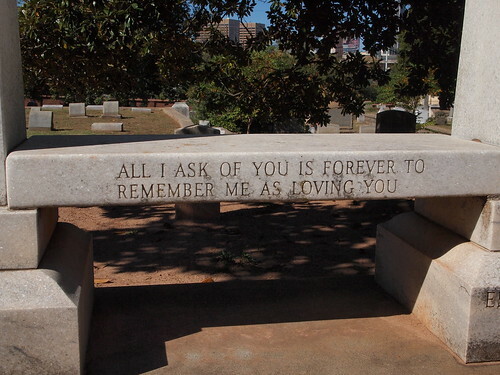 Some of the headstones were heartbreakingly beautiful. 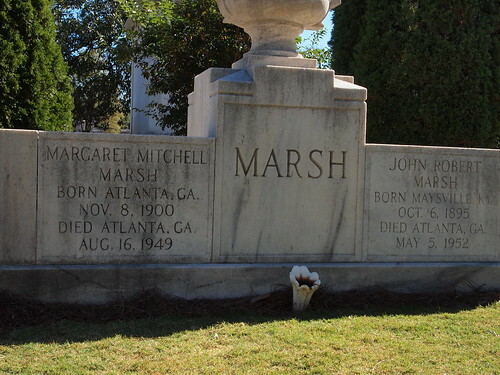 And then there's Margaret Mitchell, the author of Gone With the Wind. But my favorite section was the Jewish section. 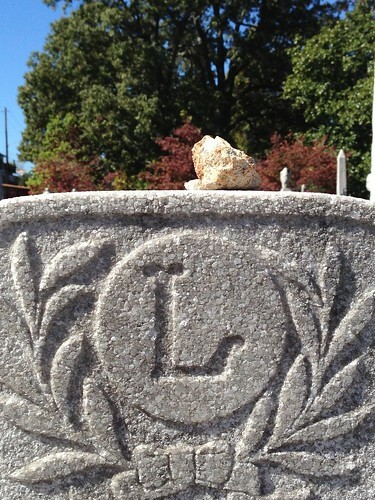 There was just something about the closeness of the grave sites and the pebbles and rocks left on headstones. I felt more at peace in this section of the cemetery than I have in most churches. 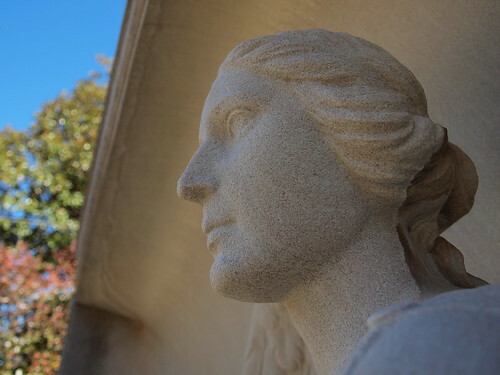 Oakland Cemetery is a place to get lost in. If I had to pin point one thing that was my favorite part of that trip, I wouldn't be able to pick just one. But this place is way high up on that list.